You've missed your favourite T.V. show and you've scoured the web to find out that the television networks have full episodes on their website the day after it has been aired. You click on the link and you're all ready to watch your show when you get a message that the content your trying to watch is only available to residents of the continental United States of America. I've been searching for years for a simple method on how to get this programming in Canada. There have been VPN or proxy server methods that are slow, expensive, unable to stream rich media or simply out of service. There are also other complicated methods that involve setting up a hot spot or having a friend in the U.S route the service for you. 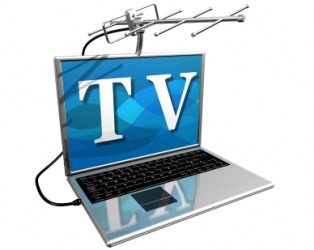 I finally found a relatively simple and reliable method that has allowed me to watch the web content for all major U.S. networks including CBS, NBC, FOX ABC, MTV, SyFy and more! First and foremost, I should mention that this can only be done through the FireFox web browser. Download the Modify Headers plugin for Firefox. Once installed, go to Tools => Modify Headers in Firefox and add a new filter by clicking on the drop-down menu in the upper left corner and selecting Add. Click on Configuration in the right column and ensure that the check box for always on is checked and save. For this to all work you must block TCP & UDP port 1935. I think by default Windows Firewall may block this port if you're using Windows. So you may be all ready to go. That's it! This method works on most US-only streaming sites except for the Holy Grails of online programming Hulu and Netflix. Oh yeah, one last note, I heard that this can disable Flash on some sites so you may want to enable this only while watching a video. Thank you! That was so easy!